The Holidays are here! For the end of this year I’d like to send you my best wishes and offer an inspiring story: we can all make a difference! 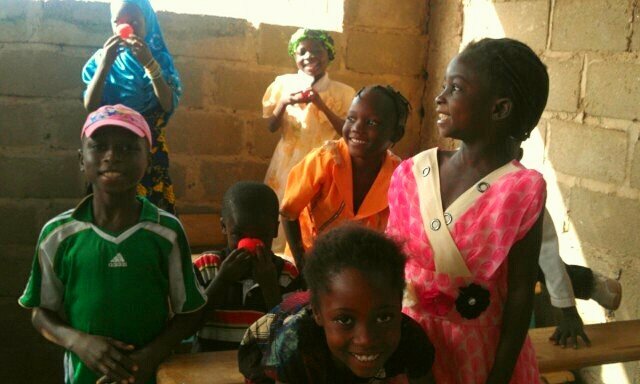 Here’s how my family is helping young schoolchildren in the suburbs of Ouagadougou, Burkina Faso, Africa. Mme Francelline Naloulma is an amazing woman. She has been teaching for many many years, devoting herself to the lives of her pupils. Beside her regular responsibilities she has now decided to take on one more. She wishes to build a primary school for underprivileged children. By itself this is already a tall order, but it’s made even harder by the fact that she lives in one of world’s least developed countries: Burkina Faso, Africa. I came in contact with Mme Naloulma through my 9 year old daughter, Aïyana. 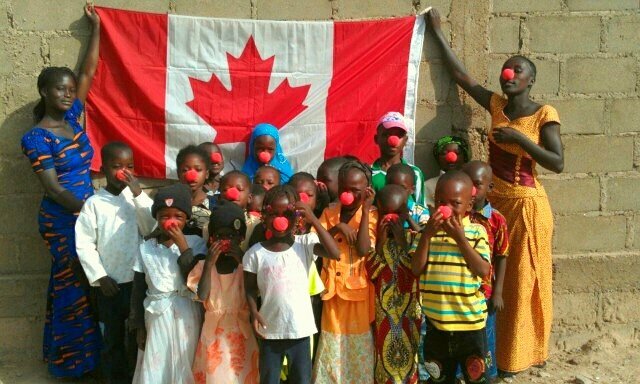 Her primary school, here in Montreal, Canada, took part in a letter exchange program with young students in Burkina Faso. After receiving a first pen pal letter we didn’t get any more news, neither from her new friend nor the program. So I went on searching the internet and found her pen pal in a new school and contacted her teacher: Francelline! She was very curious to hear about my Humanitarian Clowning, and I started to get to know her very own special project. 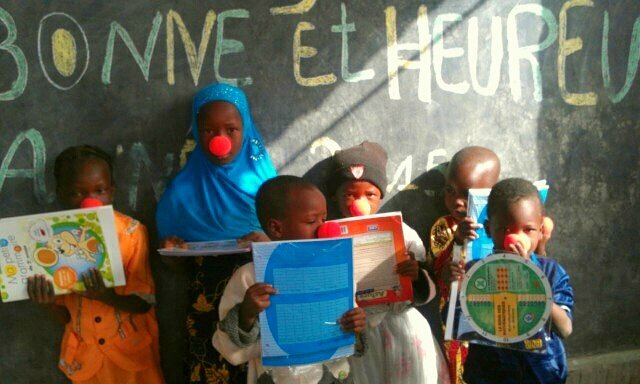 The project is to build a primary school with three classrooms for underprivileged children from five to twelve years old, orphans and non-orphans, in Wapassi, a neighborhood of Ouagadougou. – To contribute to the reduction of the number of children from unprivileged classes who are not given opportunities to go to school. 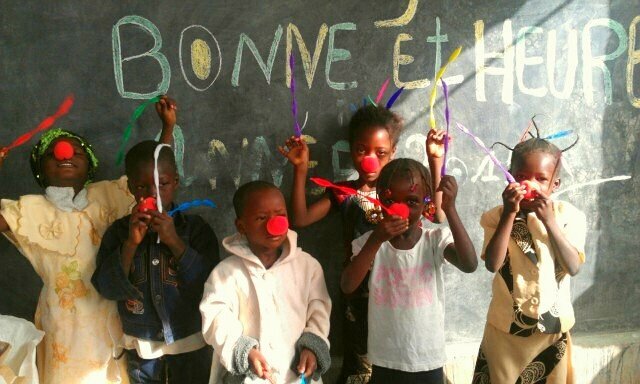 – To ameliorate the access to education for children living in wapassi through the building of three classrooms. Burkina Faso is an African developing country whose economy is essentially based on agriculture and farming. These two sectors produce more than 30% of the gross domestic product. Despite the numerous efforts to improve the living conditions of the population, particularly in social sectors (health, education, etc), people are still suffering. The most concerned are the women and children. As far as education is concerned, important efforts have been made these recent years but there is still much to do. 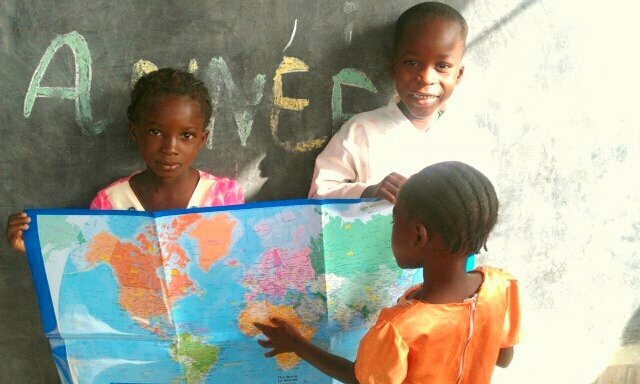 The aim of this project is to help improving education by increasing the number of places in primary school. 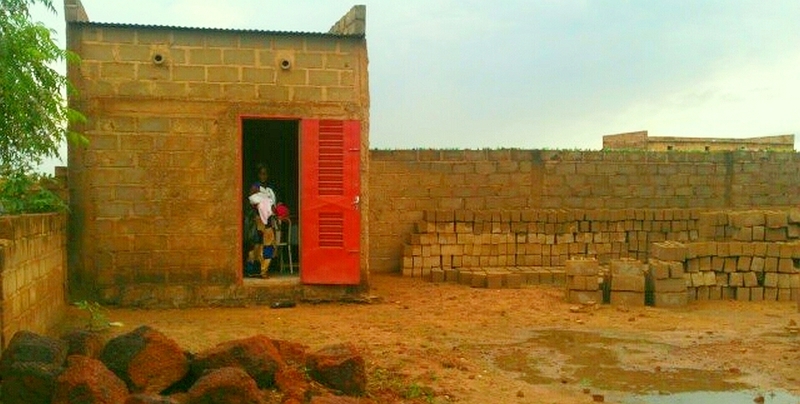 Wapassi is a new quarter of Ouagadougou containing new plots of land with mainly young families living in them. In most families, husband and wife are trying hard to take care of their children because they have no permanent jobs. The primary schools of Wapassi have plethora of pupils and can’t receive all the pupils at the age of going to school. Also, because of places request, pupils are not kept in those schools until the end of their primary education as imposed by educational law. The building of this school in this area aims at increasing the number of places in primary school and keeping pupils there until the end of their primary education. To do that the project pleads for a financial help in order to be a success. What’s a clown to do? Having just came back from Guatemala I felt ever more that each of us can make a difference. Discussing with my family, we decided that we wanted to help, but how? By sharing Francelline’s story with the world, Citizen Clown could start to make her dream a reality. 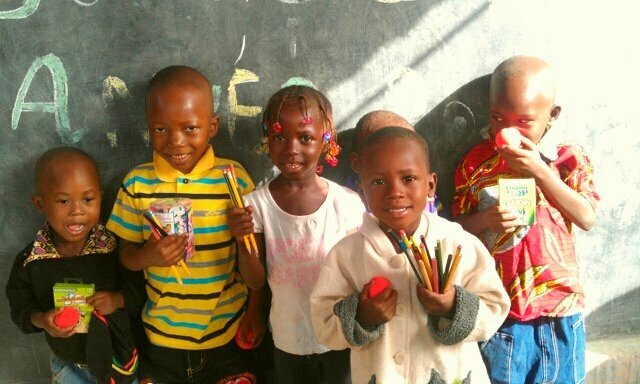 The new September school year was about to start so we decided to send supplies, along with gifts for the children, hoping it would get there before Christmas! My daughter helped by going through all her coloring crayons, giving a big chunk of them. She also set herself to sharpen all the pencils! 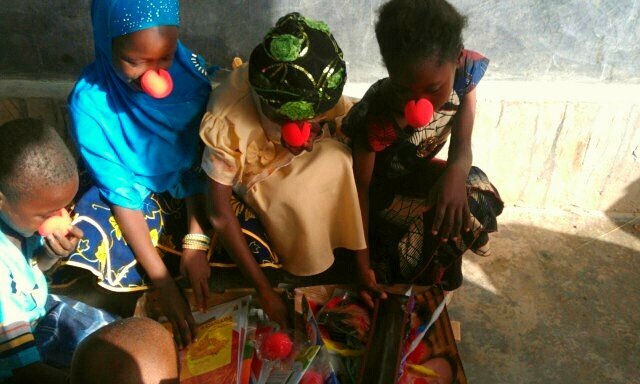 So we packed pencils, erasers, books, maps… and fun stuff for the kids and lots of red noses to share around! I added my own flute from when I was at primary school; I wanted to add something of myself, and to pass on the amazing gift of music. As soon as it was all jam packed in the box off I went to the post office! 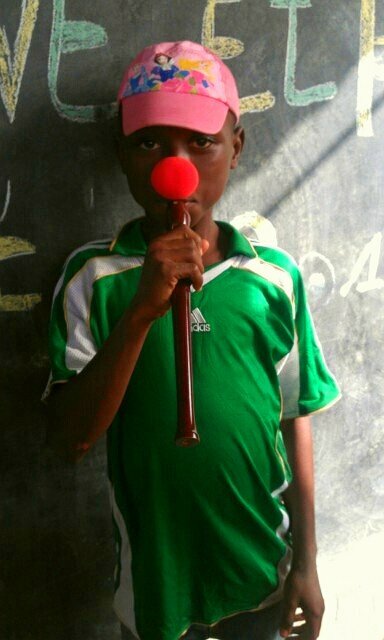 This was days before I left on a new Humanitarian Clown mission to India. Would it get there for Christmas? We all hoped! What a pleasure when I received the happy news and the photos! They received the package last week, just in time for the holidays! 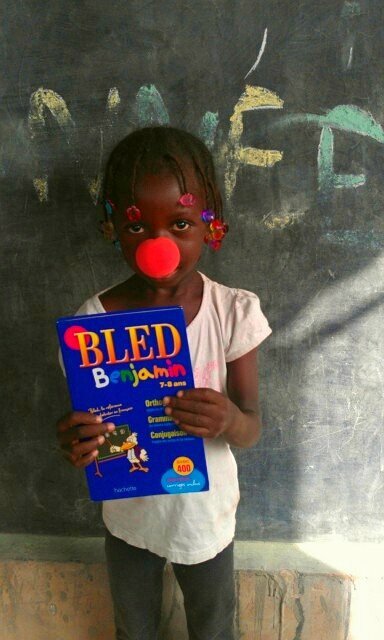 What a joyous way to end the year with the gift of school supplies and new learning material for January! 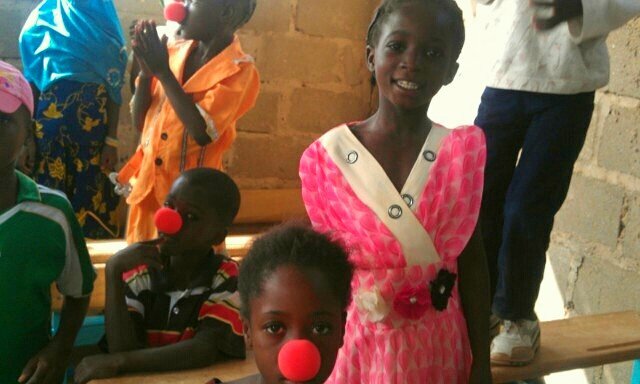 I’ll let the photos speak for themselves; those smiles are worth more than a thousand words! Each one of us has a unique gift, and we can all share it with the world. 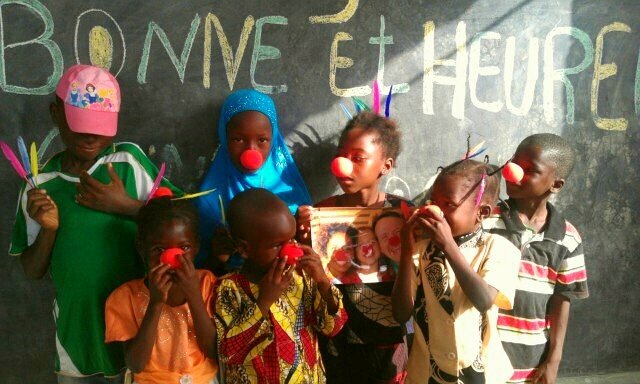 So I join my young friends in Burkina Faso in wishing you ”Bonne et Heureuse Année” ”A Happy and Wonderful New Year”. May this new year 2015 bring you and your family health, passion and beauty. May your special gift become one with all of us. The world is waiting for you!